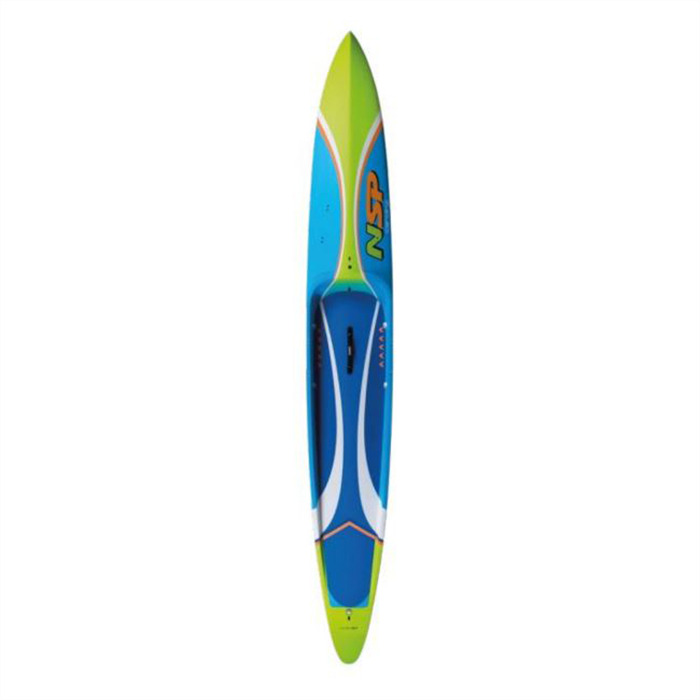 The new race board from NSP - Named after the Carolina Cup, this board excels in all conditions: beach starts, flat-water, surf, headwinds, sidewinds and choppy seas, making it an ideal raceboard for NZ coastal paddling. 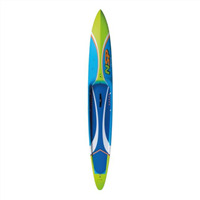 The Carolina was designed utilizing the characteristics of the Sonic, however, with a reduced rocker line giving the board more efficiency in flatter conditions. Performing best when there is texture on the water, the Carolina is a recess decked board that will excel in 90% of the races and paddling conditions you'll encounter. Excels in flattish to medium downwind conditions. Strong in upwind and crosswind conditions. Lower rocker and improved efficiency compared to the Sonic. Recessed deck for lower centre of gravity and stability. Wide tail for easy buoy turns. Accelerator Vacuum System (AVS) for quick water drain off the deck.